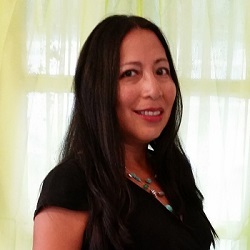 Noelia R. Paez is Assistant Professor of Economics at HPU. She received a Ph.D. in Economics from Texas A&M University in 2010; her fields of study are Labor Economics, Public Economics, and Econometrics, her current research lies in the areas of household behavior, labor, fertility, education, and health. The topics she works on have policy implications for both the general population and minorities determined by gender and ethnicity. She grew up in Lima, Peru; where she first studied Economics at Universidad Nacional Mayor de San Marcos. She moved to Santiago, Chile to pursue a Master of Arts in Economics from Georgetown University. While living in Chile, she worked for United Nations Economic Commission for Latin America and the Caribbean, and received a Master of Science in Statistics from Pontificia Universidad Catolica de Chile. She has taught Economics and Statistics courses at Texas A&M University and New Mexico State University; and currently teaches Econometrics, Public Economics and Principles of Microeconomics and Macroeconomics at HPU.